The human ear is like any other body part — too much use and it may become damaged. Hearing loss is a partial or total inability to hear. It is caused by many different factors, including but not limited to age, noise, illness, chemicals and physical trauma. Hearing loss has been called a loss of intimacy, because as hearing acuity declines, the ability to pick out a voice over background noise is one of the first things to go. Ear infections are diseases which will cause fluid or mucus to formulate inside the ear. If pressure builds inside the ear, the eardrum is less flexible than it must be. As the ear heals, the fluids drain outside the ear or are absorbed in the body. Otosclerosis is a common reason behind hearing loss. Although in the past people have thought that it was caused by diseases such as scarlet fever, measles, and ear canal infections, in fact these have nothing related to its development. It is a hereditary disease during which portions of the middle ear canal or inner ear develop growths including bony sponges. The disease can be in the middle ear, the inner ear, or both places. There are so many diseases that causes hearing loss, some of them are meningitis, CMV, and Glue Ear. Earwax can block the ear canal and prevent conduction of sound waves. Earwax blockage is a cause of hearing loss among people of all ages. This causes conductive hearing loss, which usually can be restored with earwax removal. There is a progressive loss of ability to hear high frequencies with increasing age often known as presbycusis. This begins in early adulthood, but does not usually obstruct ability to understand conversation until finally much later. 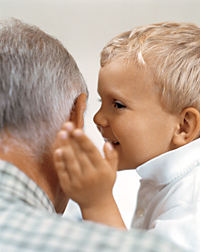 Age-related hearing loss most often gets worse slowly. The hearing loss cannot be reversed and may lead to deafness. 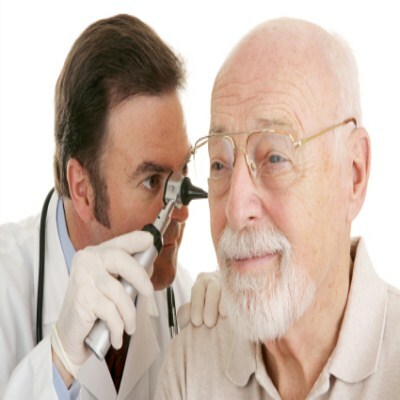 It is also studied that Smokers are commonly known to suffers from hearing loss than Non Smokers. Another cause of age-related hearing loss is that your ear canal can have more wax than a surf shop. Hearing loss could be inherited; in fact one of the most extremely common birth defects is hearing loss, inherited genetic defects play an important role in congenital hearing loss, contributing to about 60 % of deafness occurring in babies. This is one of the most common causes of hearing loss, because both Adults and children are commonly exposed to loud music. As we age our body becomes weak and most of the people lose hearing in one or both ears, either completely or just by a certain percentage. There may be several causes of hearing loss, but the most obvious reason is listening to music in a loud volume or exposure to noisy areas. Sometimes having improper diet and lack of vitamin supplements can also contribute to hearing loss problem. This problem can also be genetic or even it can also present since birth. Though, there is no such cure of hearing loss, but taking preventive measures can reduce the affects of this dilemma. I completely agree with the loud music one as i have experienced this myself. Loud music can seriously destroy the hair cells of your cochlea in the inner ear. That causes hearing loss at early age.